The Armoury health club and Jubilee Hall Trust will be supporting the annual Give It A Go! 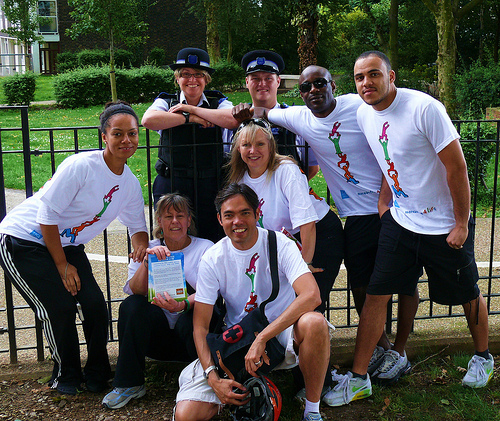 Festival to help get people more active. The event will be held on Sunday 20th July from 1pm to 5.30pm on Parliament Hill, Hampstead Heath and will include sports, fun and musical entertainment for all the family. The team from The Armoury will be providing fun fitness activities including Super Circuits at 1.15pm, Spinning at 2.15pm and a unique ‘Visitors Choice’ class at 3.15pm. The festival will also include athletics, martial arts, dance, football, Zumba and an assault course, so why not turn up on a sunny Sunday and Give It A Go!